Show of hands: who remembers “Here’s to Beer,” the somewhat lackluster attempt by Anheuser-Busch to teach consumers more about beer eight years ago? No? Let me refresh your memory. The original idea in 2005 was to have all of the major breweries work together to promote beer as an industry, rather than promote any one brand, sort of like the Beer Belongs campaign by a brewers trade group in the late 1940s and 1950s. Unfortunately, trust was not strong among the competing larger breweries and none signed on, fearing A-B would run the show and control the message for their own benefit. 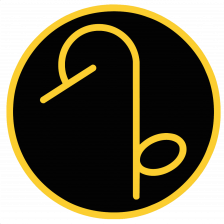 So A-B decided to go it alone, and launched a consumer website in 2006 called Here’s to Beer. If you click on the link, it still works, but it’s not that first attempt anymore. Before it launched there were press releases and media talking about it, including me in Here’s To Beer — Here’s to Making it Appear Relevant and Appealing. A few days later the website went live and I did an initial review of it, which was not overwhelmingly positive. A year later I started questioning if Here’s to Beer was dead with R.I.P. Here’s to Beer? But it turned out that the reports of its demise had been premature, and a month later Phase 2 launched with an updated website. That website, which used to be “herestobeer.com” changed to “htbeerconnoisseur.com” and that’s the one that is still online, although it doesn’t appear to have been updated in quite some time, if ever. The copyright information at the bottom of the home page is dated 2009, and attributed to “Here’s to Beer, Inc.” which you won’t be surprised to learn is located at 1 Busch Place, Saint Louis,” the headquarters for Anheuser-Busch InBev. So Phase 2 was about as successful as the first attempt, and quietly faded away. So this past Tuesday, on “National Beer Day,” you may have seen some of these graphics making the rounds on Twitter, Facebook and other social media. I know I retweeted a couple of them. It turns out they’re part of a new effort by ABI, this time called “Leg’s Grab a Beer.” Apparently Beer Marketer’s Insights first reported on it, but I saw it on AdAge, in an article entitled Let’s Grab a Beer… With A-B InBev: Brewer Tries Unbranded Beer Image Campaign. The idea, this time around, according to Julia Mize, ABI VP of Beer Category + Community, is wanting “consumers to understand all the different varieties that are available with beer for different occasions.” Which is much more possible now that they acquired several more smaller breweries outright. But her subsequent statement is really hilarious: “[W]e wanted to do it in a non-branded way so that we make sure we are connecting with the consumers and it’s not forced. It’s not marketing. Our intention here is to just have a resource that is relevant and fun and celebrates beer.” That reminds me of something Bill Hicks said about marketing, “they’re going for the anti-marketing dollar.” Essentially they’re marketing by not marketing, a tactic more prevalent in our more media-savvy present. And while I’m certainly not against a little education, this seems more like a Tumblr than any real effort at that. 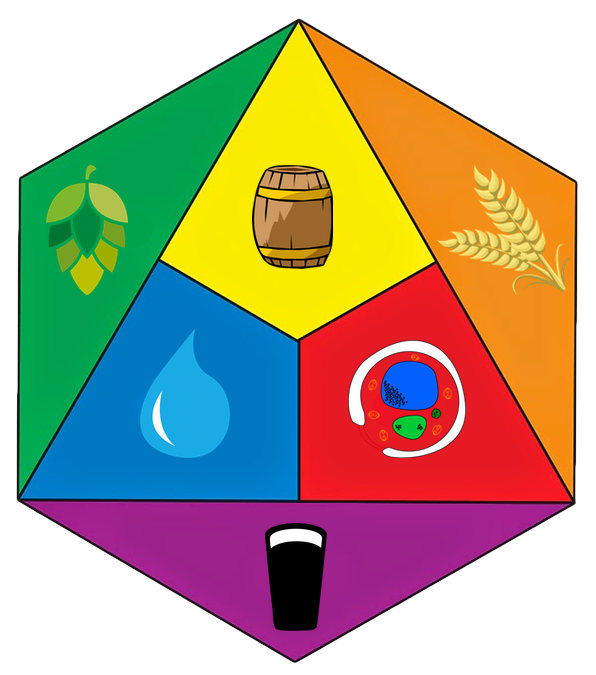 The plan apparently is for the “site [to] include a combination of original and aggregated content, ranging from ‘deep reads about the past, present and future of beer’ to colorful charts and graphics,” although at least for now there’s a lot more of the latter. Some of the “deep reads” include such titles as “7 Beer GIFs that Will Make Your Mouth Water” and a photograph of “Women demonstrating against Prohibition 1932.” It’s not exactly heady stuff they’re tackling so far. Here’s to Beer, for all its faults, at least tried to educate consumers. This latest attempt seems more intended to entertain, not that there’s anything wrong with that. 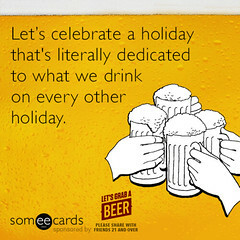 The National Beer Day cards were done, apparently, in partnership with Some E-Cards. Sadly, it doesn’t look like you can make your own cards using the beer background. That’s a shame, it would have been fun to make some. There’s definitely some interesting things being shared, but edumacation it ain’t. The other problem I see is something that seems to happen frequently to these sorts of efforts. There was a flurry of posts to the Let’s Grab a Beer Tumblr (might as well call it what it is) but then nothing new since Tuesday, three days ago. That’s a long time for a tumblr to not be updated. I have several, and make an effort to post something at least once a day, while many others post new content far more often than that. 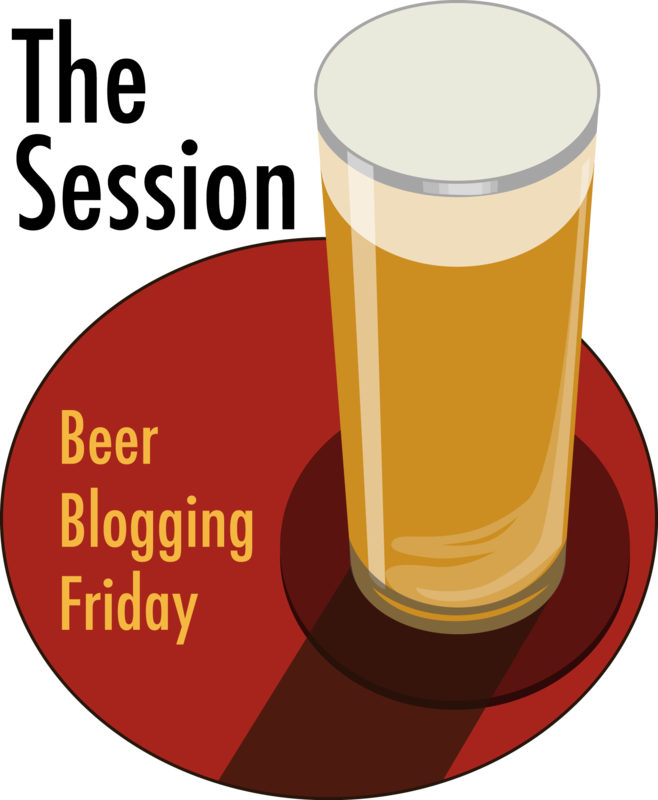 But Here’s to Beer suffered from the same problem: infrequent updates gave little reason to return to the site with any frequency. If you can absorb everything there in a few minutes and then there’s nothing new posted, why would anyone become a regular visitor? It’s somewhat obvious why they’re doing this, as one of their own posts makes clear. 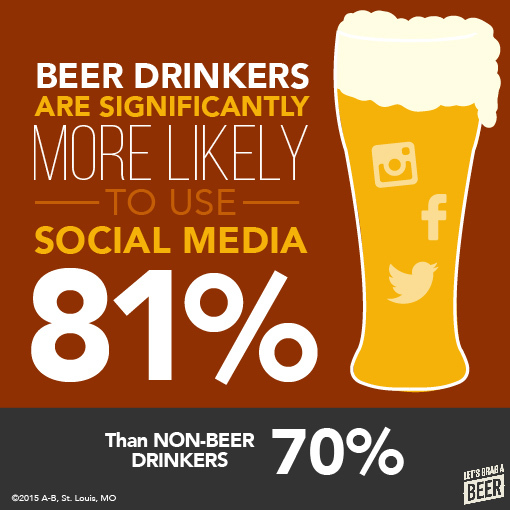 So if beer drinkers are using social media more often, why wouldn’t they realize you have to keep up with the pace of that social media? If they really want something like this to work, they need at least a dedicated person working on this 24/7. That’s what makes a successful Tumblr. Midway through the AdAge article, the author suggests it’s branding at the heart of this move. But there is also an inherent fear in industry circles about the so-called “wineification” [how I hate that word!] of beer. This refers to placing emphasis on beer styles, versus brands. For instance, if more people walk into bars and ask for a “wheat beer,” rather than a Shock Top or Blue Moon, brands become less valuable. And good branding equals profits. I have to take issue with her definition of “wineification,” saying it means “placing emphasis on beer styles, versus brands.” I don’t think that’s it at all. Nobody walks into a wine bar and says “give me a Chardonnay” or “oh, anything red will be fine.” The term generally has been used to suggest that beer is trying to be fancy, or be marketed more like wine, and is usually used derisively (at least by me). I think people do look to drink a particular type of beer they’re in the mood for or for some other reason just want at a particular time, but it’s been a long time (at least a decade or more, I’d guess) since most people would sit down at a bar and ask the bartender for whatever “pale ale,” or perhaps more popularly an “IPA, they have on tap. Brands still matter a great deal, as the spate of recent high profile trademark disputes among brewers should make abundantly clear to anyone paying attention. But the rest is an interesting insight. 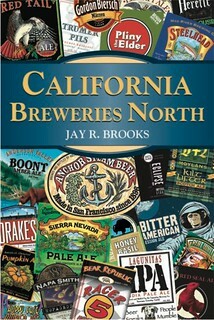 Branding is how all of the big brewers made their fortunes, especially when most beer tasted about the same. In effect, all beer was commodified for a long time, which is why advertising, marketing and branding became so important for the success of the big beer companies. It was no accident that year after year, A-B outspent their competition in ad dollars per barrel by a wide margin. I haven’t seen those figures since InBev took control of A-B, but certainly that was the case up until that transition. Now that smaller breweries have essentially uncommodified beer by offering a wide range of beers that don’t all resemble or taste like one another, big brewers are left asking themselves what to do now. “So how do you celebrate beer without making it a commodity? The value of the industry is in the equity of the brands.” In some ways that, anonymous executive is still engaging in old beer thinking, using the framework of how the industry used to be constituted. One could argue it still is since 90% of beer is of that single, commodified type — American lager — but it’s nowhere near as universal as when I was a kid. And I think even small beer’s 10% slice of the total beer pie is enough to have at least changed many, if not most, people’s perception of it, even if they choose to still buy the big brewer’s beers. 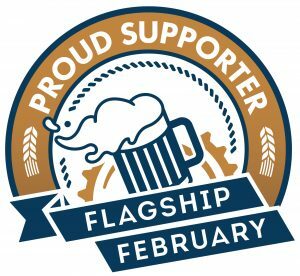 Even the loyal customers still buying the bland American beers know about Yuengling, or Samuel Adams, or Sierra Nevada, or New Belgium, or Lagunitas. What the big brewers bought with decades of blanket advertising was not just blind loyalty, but habit. And habits are harder to shake, because they’re no longer conscious decisions. 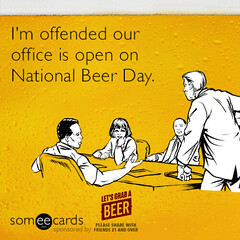 So I’m unequivocally in favor of beer education for everyone. We’ve known since the beginning of flavorful beer’s rise that education was the path to winning over more beer drinkers. In order to appreciate it, you have to know something about it. That may not be necessary to simply drink it and enjoy it, but to appreciate what you’re tasting, you do have to know a little more. I think music once again provides a useful analogy. You don’t need to know anything about music theory or composition to love the Allegro con brio first movement to Beethoven’s 5th symphony in C minor, or Gershwin’s Rhapsody in Blue. But if you do, the experience is much richer because you understand what they were doing differently than their predecessors and how they were expressing musical ideas. The history of music is all about rules, and breaking them. Baroque music was very orderly and followed strict rules for its composition, then innovative composers broke those rules and created the classical music period, which in turn had its rules broken by romantic composers, and so on. Each time there was push back from the status quo before the new music became the next established form. I think we’re seeing something similar with beer, too, as traditional rules have been broken, but are often respected, too. Innovation is simply trying something a little different or even going back to something that hasn’t been done for a long time, or mixing the two, or doing something old in a new way. It doesn’t have to mean something particularly snooty or high falootin’ as we so often seem to think. It’s just how change occurs. It’s trying to find something you can call your own that a brewery can sell and make their reputation. Few breweries, if any, will do that making the same thing as everybody else is. That’s how we got in the mess we were in by 1980 in the first place. So we should expect breweries to try something new, with 3,000 of them they almost have to experiment to find a niche, or their place in the market. Some will undoubtedly work better than others, and some will ultimately fail while others succeed. That’s the natural order of things. That’s healthy competition, with breweries competing on taste or what people are willing to support and buy. I think I’ve veered off quite a bit from where I started with this, rambling on about some unrelated ideas, but the takeaway is that education matters — “Just Say Know™” is my catchphrase — but this may not be the best way to engage more people to learn about beer. Still, I’m up for whatever. Let’s grab a beer.